altruism: This is generally explained as unselfish regard or concern for others or disinterested other-regarding action. For the Buddha, there was no single definition of the selfish or the disinterested. Ananda: the name of the Buddha’s cousin and longtime attendant who was one of his chief disciples. He is feathered often in the Buddhist canon and sutras. anatman: the Sanskrit term meaning “no-self” or “not self” and was more broadly considered as meaning insubstantiality. Anatman is generally used along with the principle of impermanence and the notion of suffering. It is the key to understanding awakened moments. 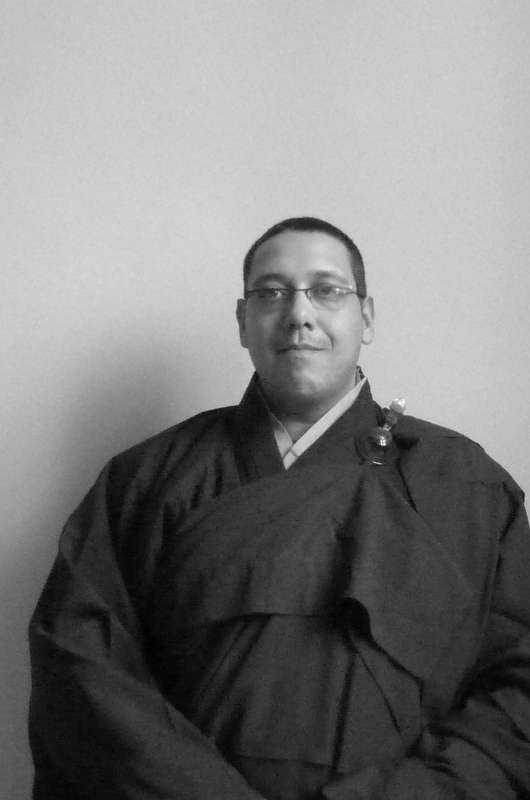 ango: the term is used in Zen monasteries to refer either to the summer rainy season retreat, which unusually lasts for three months, or to an intensive period of meditative training during a retreat. arhat: in Sanskrit it means “worthy one” someone who has moved beyond a life of unsatisfactoriness and suffering. A wise teacher. Asoka: King Asoka was an Indian emperor and celebrated patron of Buddhism that lived between 300 – 232 BCE. He played a significant role in establishing Buddhism as a world glass religion, and is mentioned throughout the early historical record. 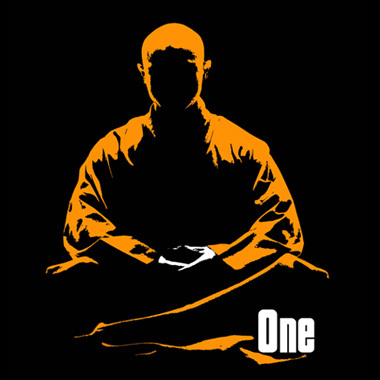 bhikkhu: a fully ordained Buddhist monk that remains under the guidance of a root teacher. bodhi: in Sanskrit meaning “awakening or enlightenment” or the consummate knowledge that catalyzes the experience of liberation. The bodhi mind is where the aspiration for enlightenment has been awakened and the impulse that moves one towards self-realization acts as a strong motivator. Bodhidharma: a late fourth century Indian monk who is the founder of the school of Ch’an Buddhism. Bodhisattva: is a person who has compassionately vowed to achieve buddhahood but has not yet done so. In the Mahayana traditions the bodhisattva path is presented as the ideal to which all should aspire. Sometimes referred to as the Great Being. The bodhisattva vows not to enter the state of nirvana until all beings can follow. 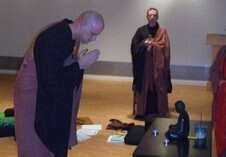 Ch’an & Zen monks include the Bodhisattva Vow in the ordination service. Bodhisattva: in the Mahayana tradition the term refers to an individual intent on achieving enlightenment but delays the state of nirvana until all living beings also achieve the body-mind state of awakening. This aspect of a Bodhisattva is undertaken during ordination by reciting the Bodhisattva Vow. Bon: an early Tibetan indigenous religion practiced prior to Buddhism becoming the State religion. Many of the Tibetan Buddhist principles reflect this pre-Buddhist history and differs from other Mahayana Tradition’s practices. Buddha: in Sanskrit the word means “awakened one” and both refers to Siddhartha Gotama as well as those that experience the body-mind state of awakening. When referring to Siddhartha the word is capitalized, for others the word is not. Buddhist canon: a term used generally to designate Buddhist scriptural collections in a whole rage of Asian languages, including the Tripitaka, the Pali Nikayas and other sutra collections as well as the legacy teachings of historical masters. In addition to these major works, various Buddhist traditions also typically use their own local collections of texts to augment their teaching. 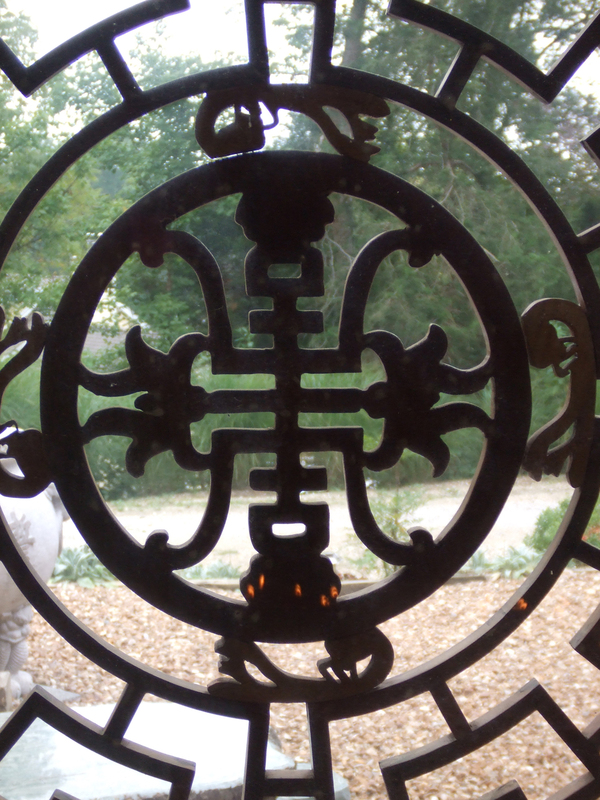 Ch’an: one of the major Buddhist school of East Asian Chinese Buddhism. 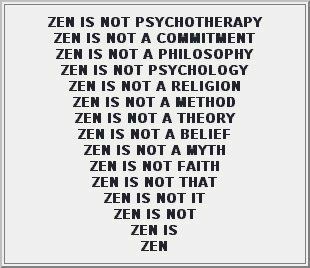 The term is sometimes referred as “Zen”. 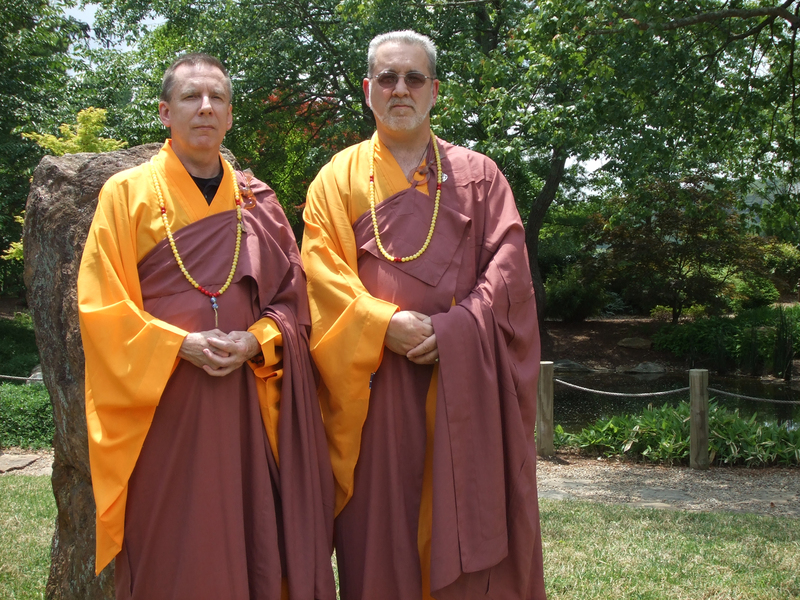 It is the major lineage of the Order Of Engaged Buddhists, and our founders ordaining lineage that goes back over two thousands years. Council (Buddhists): the 2nd council was held at Vaisali about one hundred years after the death of the Buddha. It is believed this Council was convened to clarify some of the primary principles and practices between the various schools, but the chief points of controversy that led to the convening of the council seem not to have been resolved. The 3rd Council is said to have been held at Pataliputra under the patronage of King Asoka that finally set the major Buddhist principles and practices, with some variations, that we encounter in our contemporary Buddhist thought. However, the historicity of this council has been questioned by modern scholars. There are an additional three more world councils, the last one was held by the Theravada school in Rangoon in 1954 & 1956. The Pali canon was edited and recited with discrepancies among versions in the various scripts noted and corrected to conform to Theravada expectations. dana: a Sanskrit meaning “generosity or giving”, and is one of the most highly praised of virtues in Buddhism and the foundational practice of the Buddhist laity as well as the monastic community. It is the foundation upon which the student/teacher relationship is based. daoren: in Chinese this term is used by many different religious and secular groups to refer generally to any person who has perfected a that of cultivation and training or attained a special skill or knowledge. Among Buddhists, the term refers more generally t one who has made some progress in following the Buddhists path to awakening. dharma: a Sanskrit the term means “factor or element”, but has a wide meaning and difficult to translate into Western languages. When the term is capitalized it refers to all Universal expression of reality to truths. In lower case it refers to the Buddhist teachings and doctrines. 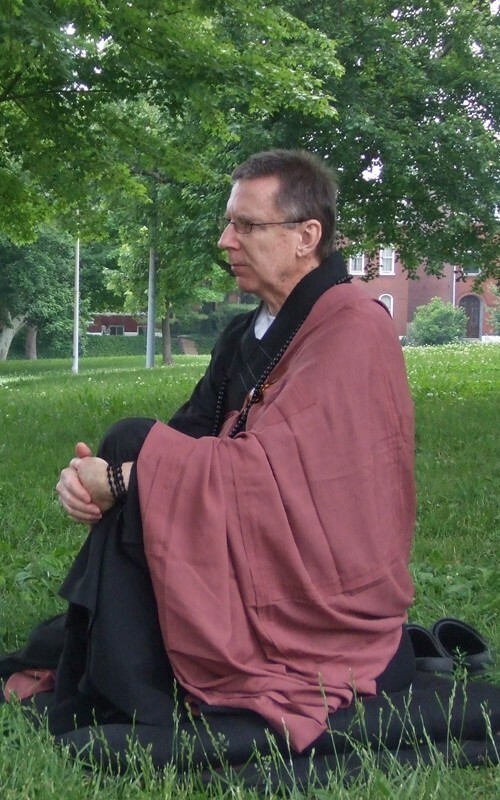 dharma discourse: a formal talk on a significant aspect of Buddhist thought that goes beyond an intellectual presentation that points directly to an expression of the spirit of Zen training. 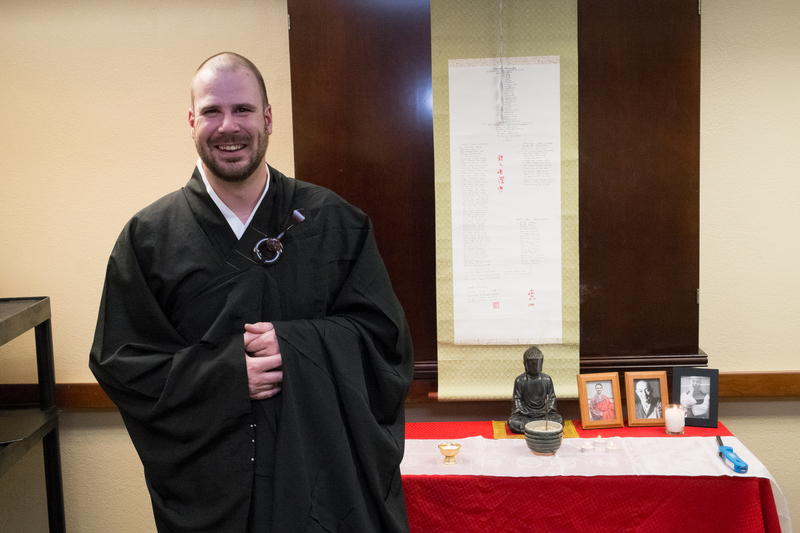 dharma name: a name given to a student by the teacher during the precepts ceremony. 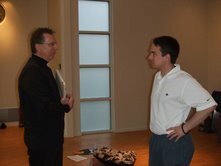 dokusan: a Japanese term referring to the private consultation between a Zen student and the teacher or master. 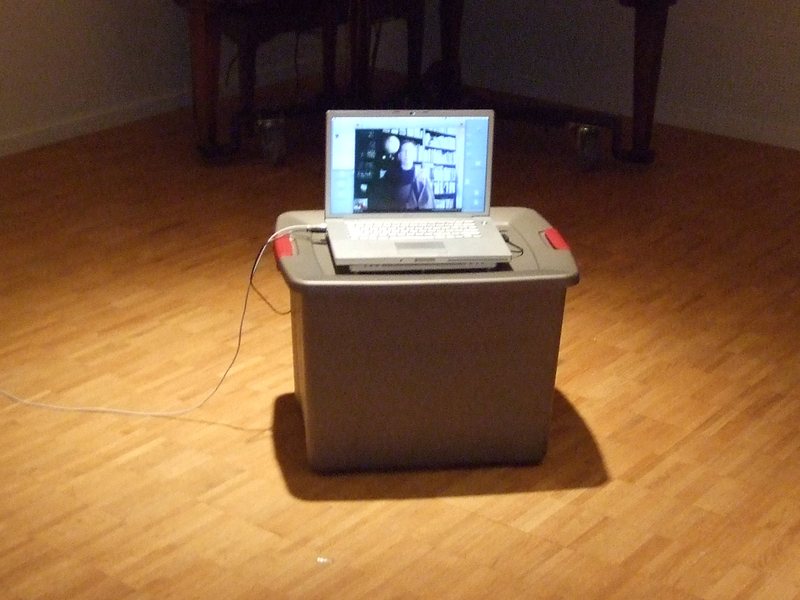 It allows the teacher to test the student and give instructions away from others. This special method of teaching is generally accorded to senior students. duhkha: the Sanskrit term meaning “suffering or unsatisfactoriness”. It is the foundational teaching of the First Noble Truth. Eightfold Path: One of the basic formulations of the Buddhist path to enlightenment which is comprised of eight characteristics for developing human flourishing. 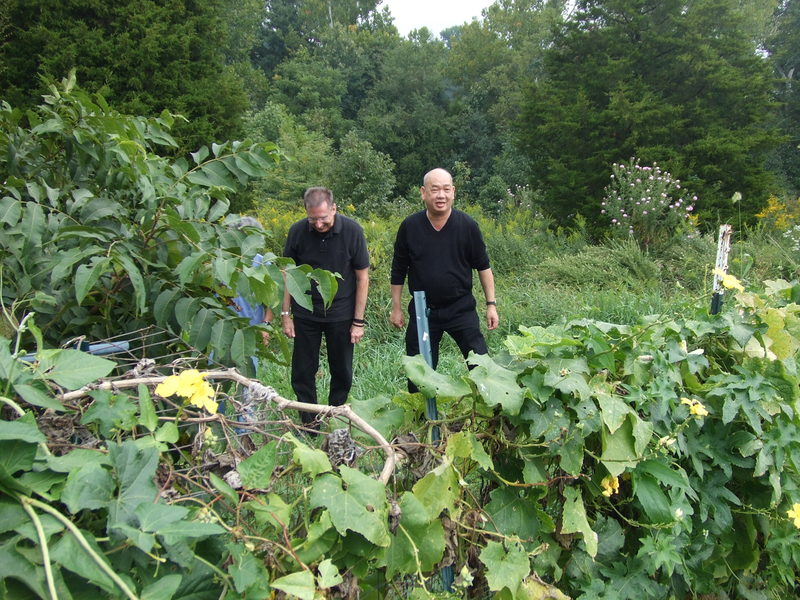 They are encompassing and corrected view, intention, speech, conduct, livelihood, effort, mindfulness, concentration. While view separately, they are also to be considered as a single body-mind formation. Four Noble Truths: The term “noble” refers not to the truths themselves, but to those who understand them. While the truths are simple to understand by the simple language used to describe them, they are deep and point directly to all Buddhist thought. 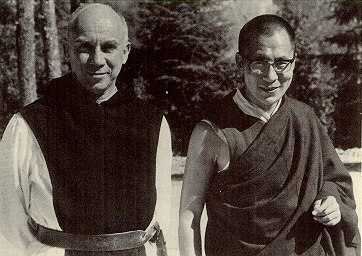 All Buddhist principles and practices are a direct action inherent in these four truths. It is the first teaching of the Buddha, and is referred to as the “first turning of the dharma wheel.” In summary, the truths are: inherent in life there is suffering, this suffering has an origin, suffering can be ceased, and the path out of suffering is eightfold. A major key in understanding Buddhist thought is to awaken to the lessons BETWEEN the four truths. Rather then consider this primary teaching as truths, it is more practical to consider them as realities. gatha: in Sanskrit it means “verse”. We use gathas to recite during intentional ritual practice. 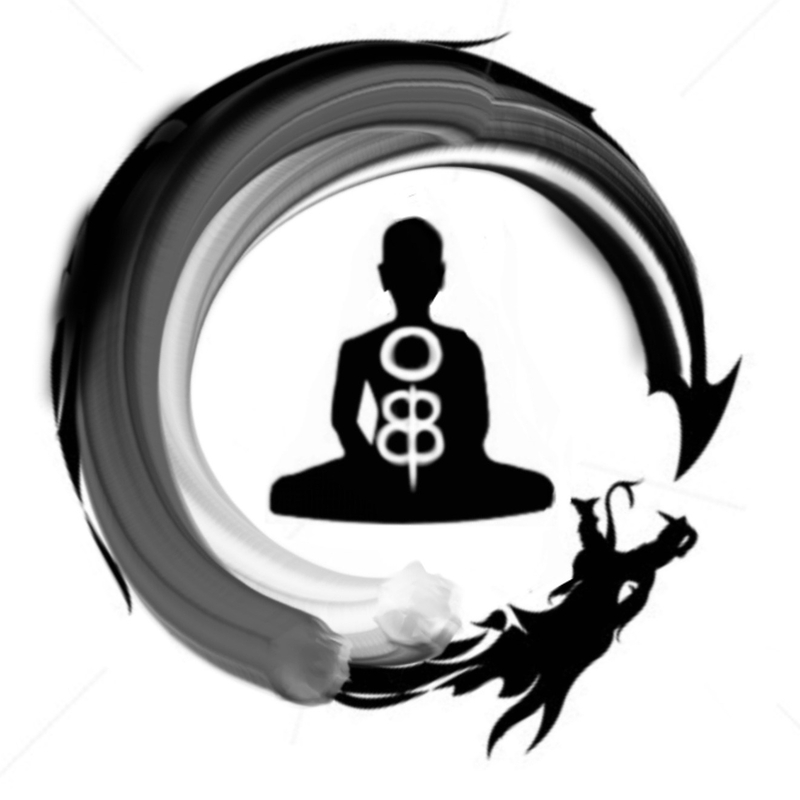 hara: the physical and spiritual center of one’s body-mind; an area in the lower belly used in centering one’s attention in meditation and other activities. Heart Sutra: a major sutra for both the Ch’an and Soto Zen lineages that is often chanted as a part of every practice session. The sutra is believed to represent the major beliefs of Buddhist thought, especially of Dependent Origination, mutual-causality, and the teaching of non-dual state of body-mind. Hinayana: a Sanskrit term meaning “lesser vehicle”, and is one of the three major schools of Buddhism. Those that follow Hinayana do not accept the Mahayana sutras as being authentic to the word of the Buddha. Indra’s net: is a metaphor used widely in Buddhist teaching to describe the web of interconnection in which all beings are enmeshed. It represents the causal-chain of existence that resonates thoughtout the universe. Jataka Tales: a set of prose and verses including the Jataka collection. Authorship is traditionally attributed to Buddhaghosa, and most written prior to the birth of the Buddha. Over time the tales were described in Buddhist terms teaching moral and ethical lessons, generally for children. The themes, however, are adult in nature. karma: the universal law of cause and effect, linking an action’s underlying intention to that action’s consequences; it equates the actions of body, speech, and thought as potential sources of karmic consequences. Karma has no value until one gives it value. 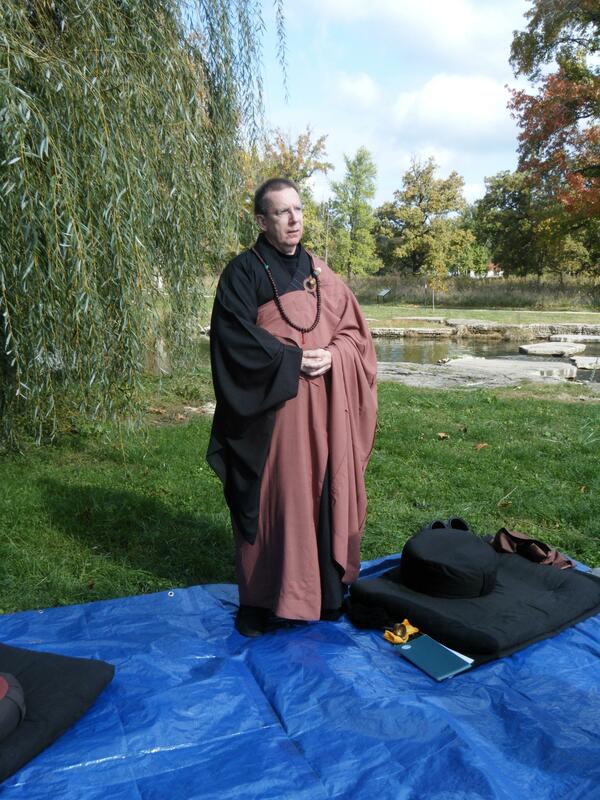 Kesa: a patchwork robe worn by a monk that represents his ordained status within a monastic order. 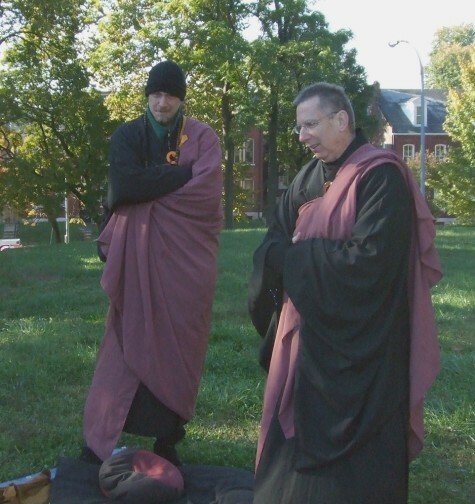 The number of pieces represent their monastic rank. The robe represents the type of garment worn by the Buddha and was originally made from discarded pieces of fabric. The color can vary, and the different Buddhist traditions are recognizes by the distinction of their monk robes. 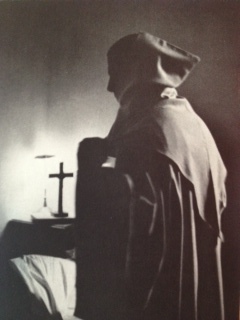 The kesa is worn over the shoulder and over the under-robe. koan: a Japanese term representing a form of teaching method that refers to an impenetrable or even nonsensical question or paradox. logic: while the term is a common English one, in Buddhism it is used to refer in general to the system of reasoning developed by Dignaga and Dharmakirti that sets forth the elements of correct reasoning resulting in inference. Logic is the aspect of the analytical and rational part of the mind beyond everyday automatic thinking, and is the part of the mind that is focused on during mindful meditation in order to promote the experience of awakened moments. These moments go beyond the experience of the ordinary reasoning process. We practice to get ready for these experiences. Mahayana: in Sanskrit the term means “great vehicle” which is used historically to refer to a movement that began some four centuries after the Buddha’s death, marked by the composition of texts that purported to be the Buddha’s words. 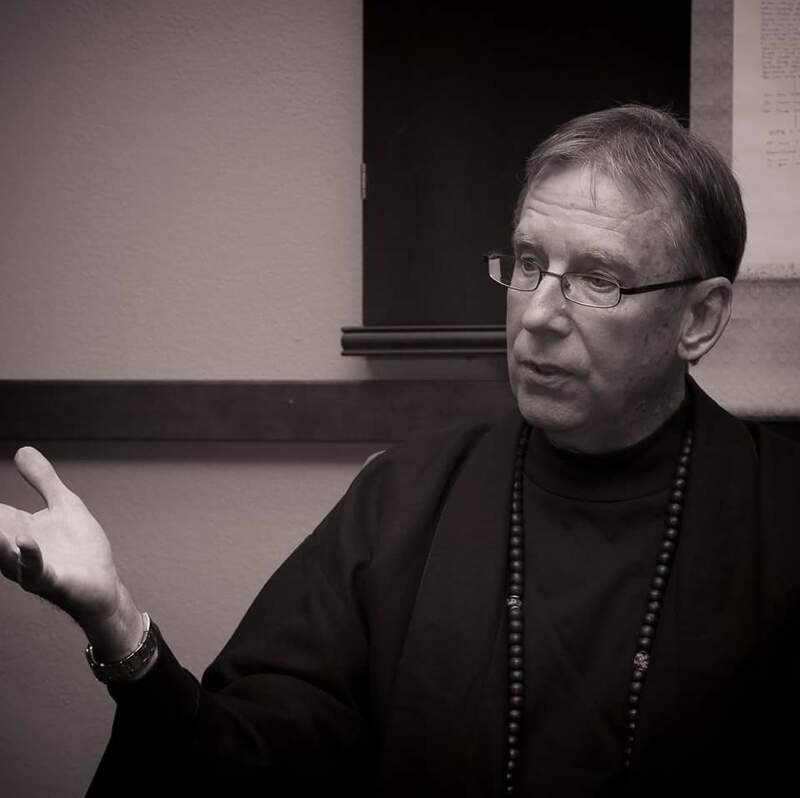 While there are many schools and traditions that are Mahayana in their foundational teaching, they also vary by the inclusion of other texts and legacy teachings. Ch’an, Soto Zen, and Tibetan Buddhism are Mahayana for example. A primary aspect of Mahayana traditions is the acceptance of the Bodhisattva Ideal, and incorporate the Bodhisattva Vow into their ordination ritual. mantra: in Sanskrit the term means “spell, charm, or magic formula” and is a series of syllables that may be chanted for a meditative effect in a Buddhist ritual practice. 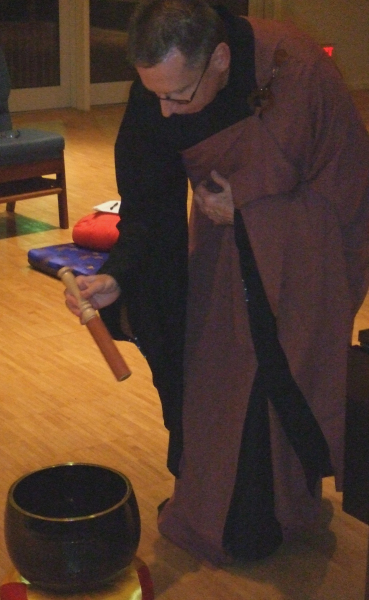 mokt’ak: a wooden percussion instrument that is used in monastic practice to keep time with a chant. 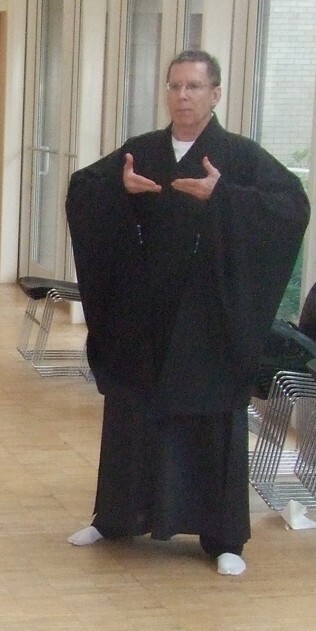 monk: the Sanskrit term is Bhiksu. 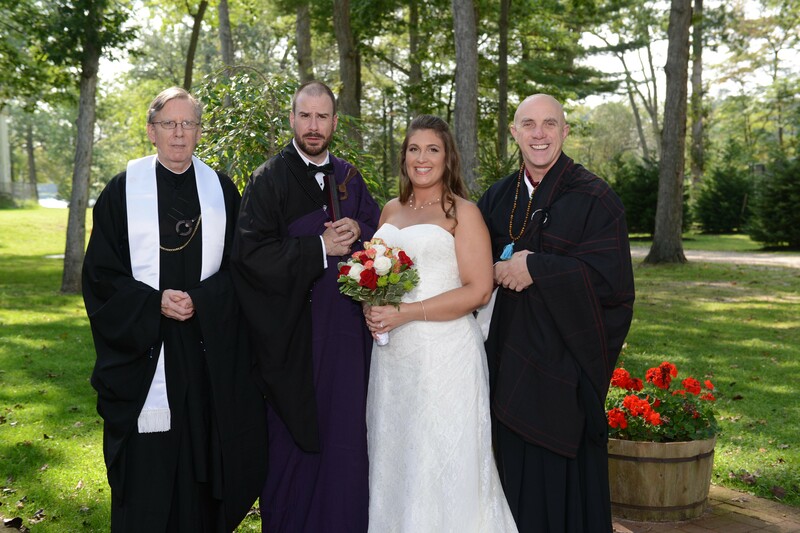 All ordained individuals on the Buddhist path are referred to as monks no matter of their specific rank. 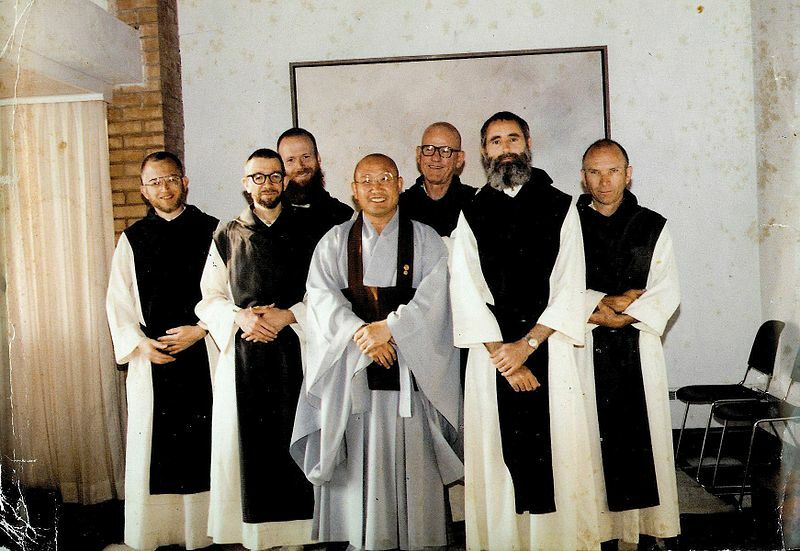 Each monastic order has adopted various stages of training, or ranks, and a particular ordination ceremony is conducted for the passing from one rank to the next. mudra: in Buddhist contexts it often refers to hand and arm gestures made during the course of ritual practice or depicted in images of buddhas, bodhisattvas, or other Buddhist images. In meditation practice, the placement of hands is referred to as a meditation mudra. Nagarjuna: an Indian Buddhist philosopher traditionally regarded as the founder of Madhymaka school of Mahayana Buddhist philosophy. He lived during the second century CE, and is the author of a number of works on a range of topics. He wrote as a Buddhist monk and as a proponent of the Mahayana tradition. nirvana: in Sanskrit the term means “extinction” which is the earliest and most common term describing the goal of the Buddhist path. It is the state of body-mind clear of all defilement, negative dispositions and cravings that distorts our view of the reality of the universe as it is. An enlightened state of mind. 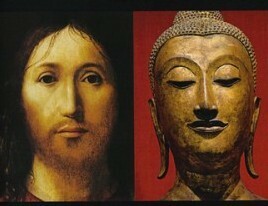 It is not helpful to think of nirvana as being a metaphysical place like heaven. It is a body-mind state that can be achieved in ones lifetime. om mani padme hum: a Sanskrit term meaning “homage to the Jewel-Lotus One” and is the most famous of all Buddhist mantras and important especially in the Tibetan tradition, but is also chanted in Ch’an practice. Pali: A dialect of Middle Indo-Aryan which serves as the canonical language of many of the Buddhist canon. According to tradition the Buddha’s teachings were first recorded in writing in Pali at the end of the first century BCE. paramita: in Sanskrit the term means “perfection” a virtue developed and practiced by those on the Buddhist path. The traditional meaning is “gone beyond or gone to the other side”. It is changed in the Heart Sutra, for example. pitaka: in Sanskrit and Pali the term means “basket or collections”. It is a collection of scriptures organized by category. 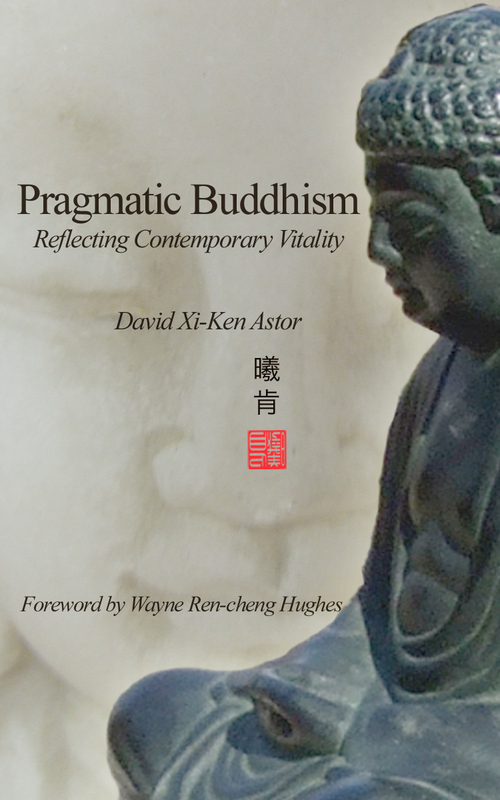 Pragmatism: If there is any “ism” that can be compared with Buddhism, it would be pragmatism with a moral foundation. Pragmatism is a philosophical American school that valued personal validated experience over dogmatic beliefs alone. prajna: a Sanskrit term meaning “wisdom”, but having a connotation closer to awareness or cognition and is used most often to refer to an understanding of reality that transcends ordinary comprehension. Prajnaparamita: literally ‘perfection of wisdom’, the understanding of reality required to achieve buddhahood, according to many Mahayana sutras. It is a term used when speaking of emptiness and the bodhisattva path. Precepts: A set of moral and ethical guidelines that are taken and practiced in order to advance a life of flourishing, self development for the benefit of all begins. The Precepts help the practitioner realize the nature of their existence and controls one’s actions to realize the importance of the Three Pure Precepts. rakusu: The miniaturized version of the kesa, a bib shaped garment worn by Zen Buddhist practitioners across their chest that have received the Precepts. 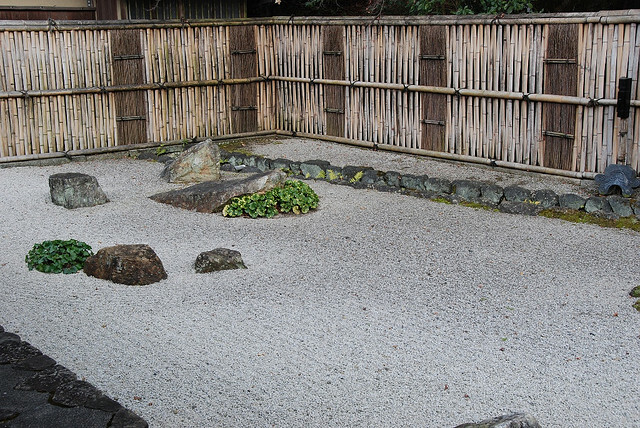 Rinzai School of Zen: a school of Zen that originated with the Chinese Zen Master Lin-chi I-hsuan in the ninth century CE and was reformed by Master Hakuin in Japan. It stresses koan practice. rebirth: while considered a doctrine of Buddhism by many, it was not an innovation of the Buddha, being already common to a number of philosophical schools of ancient India by the time the Buddha appeared. During his life time he remained silent on the subject of rebirth, and taught that the importance of the Four Noble Truths for the developed of human flourishing was more important than metaphysical thoughts that could not be directly experienced. The idea of rebirth is being creatively re-described by many contemporary teachers that aligns with a more scientific view of how the Universe is. 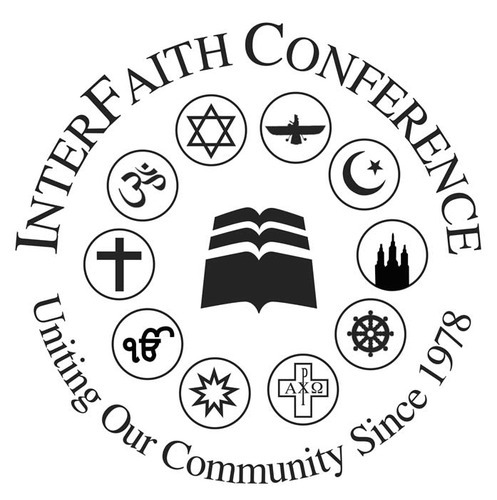 It remains a topic in great debate as Buddhism moves into the West. 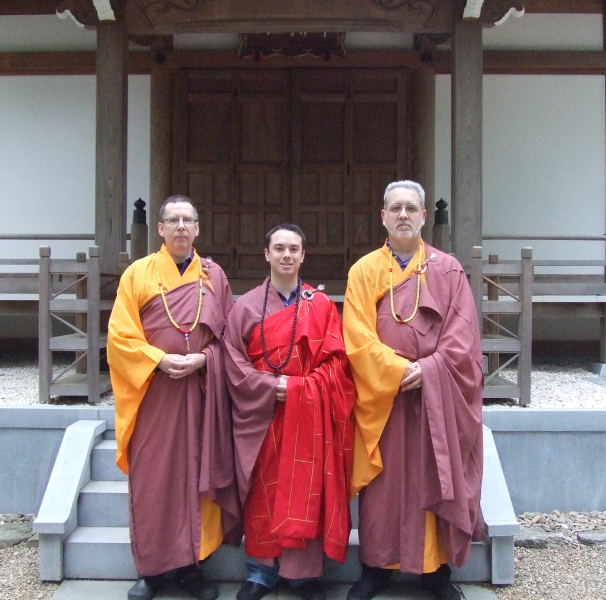 Roshi: a Japanese term that means “old master” and is a honorific typically used with reference to a senior Buddhist teacher in the Rinzai tradition. 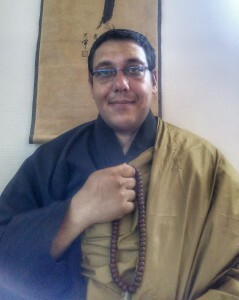 A monk that has received Dharma Transmission and is added to a particular schools Dharma Scroll. samadhi: in Sanskrit the term means “concentration” and is the foundational term in Buddhist meditation practice which is related tot eh ability to establish and maintain one-pointedness of mind on a specific object of concentration. 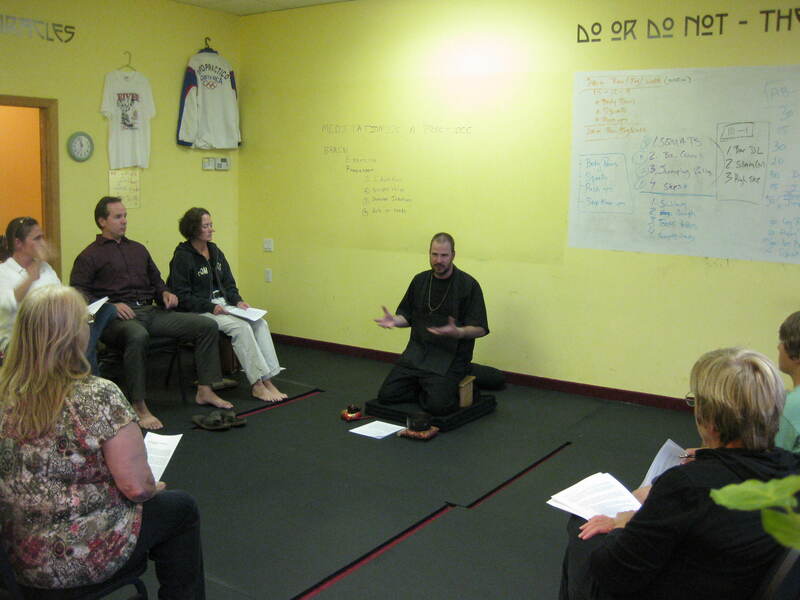 Sangha: a Pali and classical Sanskrit term meaning “community”. 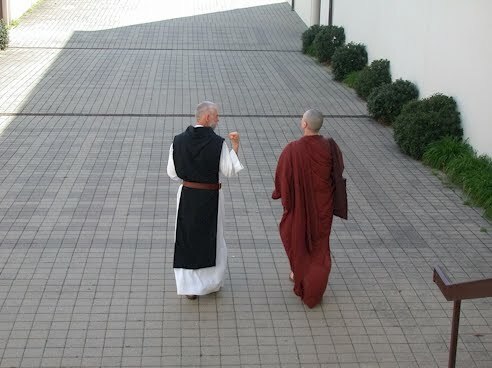 It was originally considered to refer to the monastic community, but in the contemporary usage it refers to both the lay and monastic members of a particular community of practitioners. It is to be considered to be the social element of the Three Jewels. satori: The Japanese term that refers to awakening or an enlightenment experience or consistent state of body-mind. 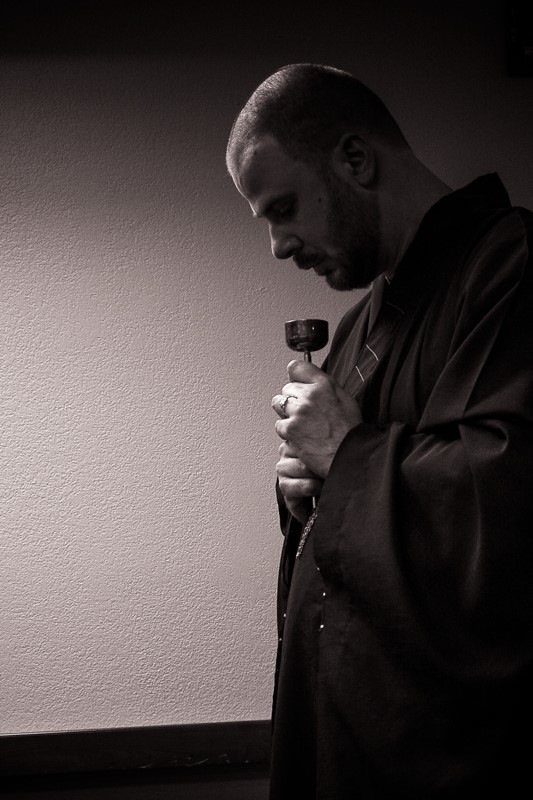 Sensei: a Japanese term that means “teacher”, and is an honorary title given to a Buddhist Priest or Dharma Holder while their root teacher is still living. 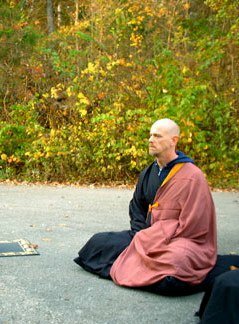 sesshin: an extended period of intensive meditation practice lasting between five and then days, centered on zazen but encompassing every aspect of a Buddhist practice. 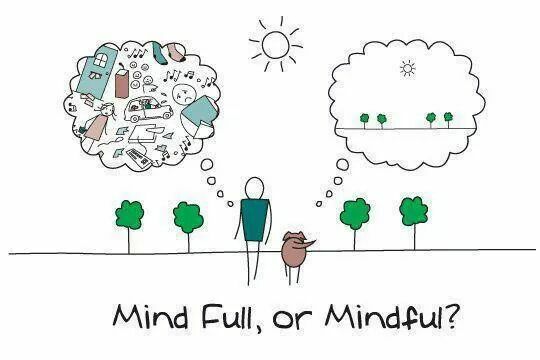 shikantaza: a Japanese term meaning “just sitting” which one practices pure awareness. Siddhartha: the personal name of Gautama Buddha, also know as Sakyamuni. Six perfections: the deeds performed by a bodhisattva on the path to buddhahood: giving, ethics, patience, effort, concentration and wisdom. Skandhas: literally ‘aggregates’, one of the terms used to describe the physical and mental constituents of the person, among which there is no-self. 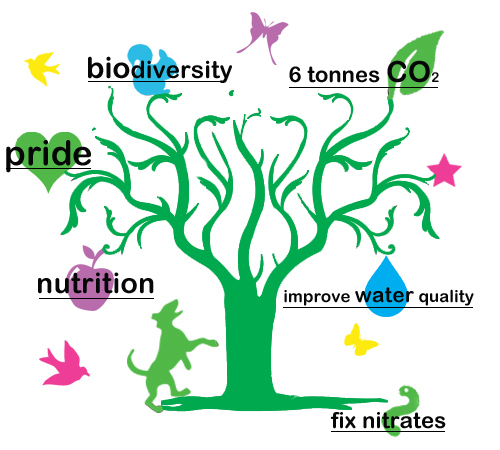 The five constituents are form, feeling, discrimination, conditioning factors and consciousness. 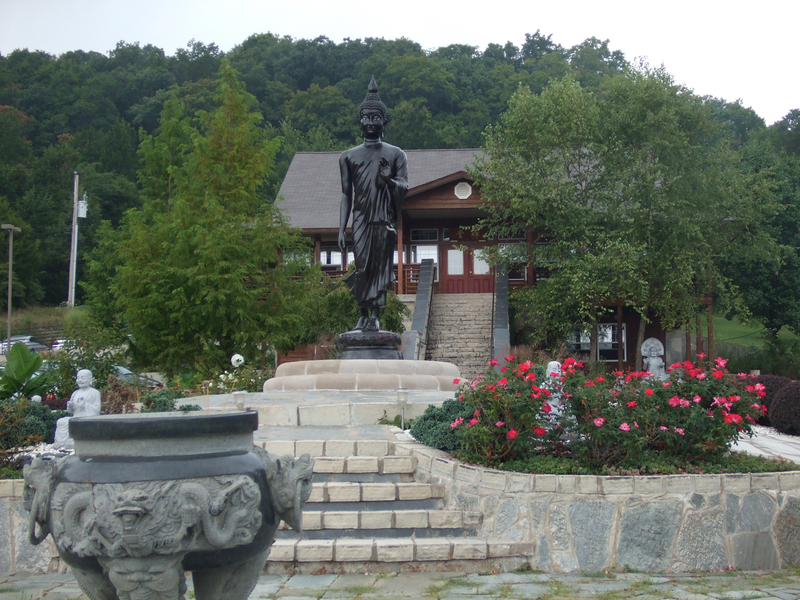 Soto Zen: one of the existing schools of Zen Buddhism, founded by the Chinese Master Tung-shan Liang-chieh and Ts’ao-shan in the ninth century. 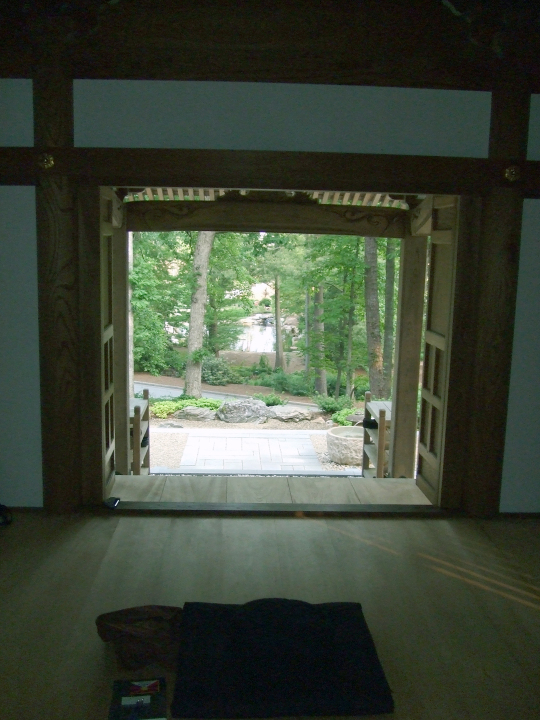 It was revitalized and brought to Japan by Eihei Dogen. 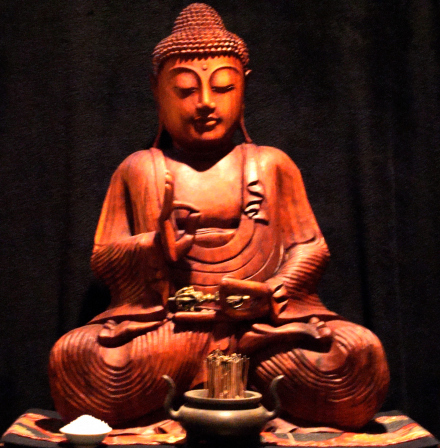 sutra or sutta: a discourse, sermon or scripture said to be delivered by the Buddha or delivered with his sanction. 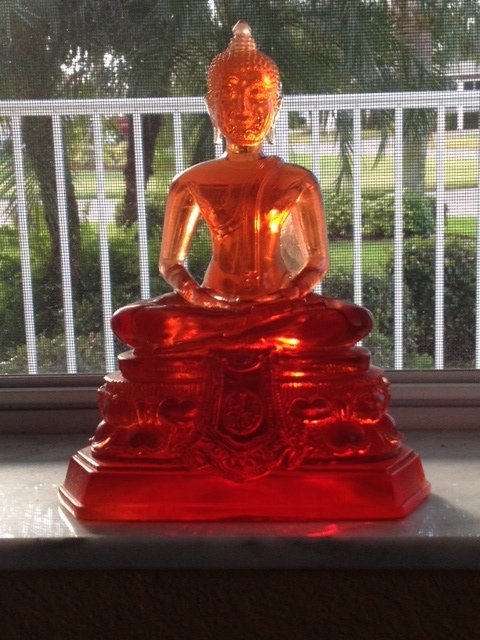 A term probably used originally to refer to sayings of the Buddha that were preserved orally by his followers. This may be why the sutras almost always begin with the phrase “Thus I have here”. Sutras should be read with caution, and for the task of find the lesson they are pointing too, and not taken as a literal word of the Buddha. Many of the sutras contradict each other, for example. It becomes a challenge as they should never be taken literally. The Buddha often agreed with his questioner before be skillfully moved to given another interpretation of the subject of the lesson. This is why it is important to read the entire sutra for a complete meaning. Three Pillars of Practice: The essential components of the Zen path of realization: great doubt, great commitment, and great perseverance. Three poisons: Greed, anger, and ignorance; characteristic of human existence that arise out of the deluded view of the universe. Three Pure Precepts: Avoid doing harm, do only good, do good for others. It is the Buddhist equivalent of the Golden Rule. zendo: a Japanese term meaning “meditation hall”.